“I aspire to become a singer. I simply love singing Tagore songs,” was the prompt reply of Kishore Lodh and he soon scores a Tagore song with his harmonium. “Ask him to sing any song and he shall sing it with great poise, “says his mentor Mr. Bikram Sinha very proudly hugging his primary school kid who has been studying in this school since the last sixteen years. “ He has been singing since he was a kid and in the last couple of years he has catered pretty good performances and conquered hearts . He has sung at the Udit Narayan musical concert in 2008, in 2010 he had another performance at a musical concert at the Sunderbans and since then it has been a never ending affair,” chirps his mother. One can clearly see the twinkle and the shine of pride on her face. Kishore, quite unknown of the happenings around him keeps on singing his favorite songs. 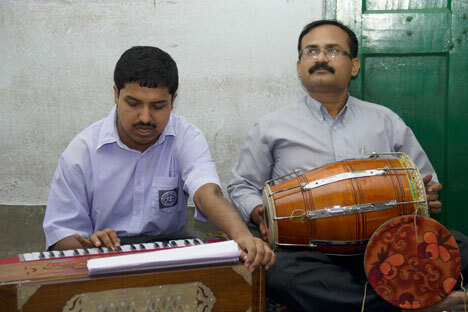 He is currently in his primary school at the Haripada Biswas Vidyalaya. Kishore is aged 26. Kishore Lodh sings a Tagore song. 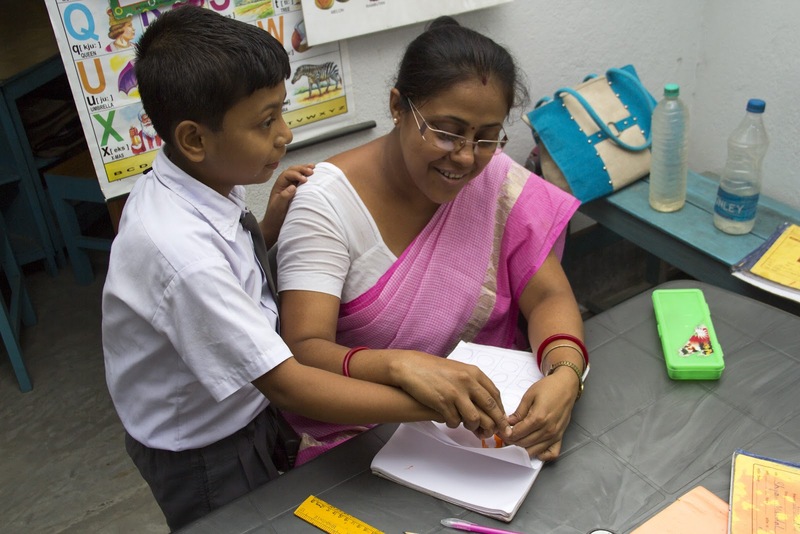 Located at New Barrackpore,the northern fringes of Kolkata, Haripada Biswas Vidyalya appears as any other school unless one mingles closely with the children studying over here. Founded by Late Shri. KanaiLal Dutta, in the January of 1997 on the eve of Vivekananda Jayanti, this school has been specially up for the mentally retarded and the physically challenged children. The school has been running since then, lending a helping hand to the children such that they could lead better lives and moulding them in the perfect way to aptly adapt to the society. “From 3 students to 77 students, the long journey has been quite learning and enriching experience,” says Ms.Madhumala Basu, Vice President of the school committee as well the daughter of Late Shri. 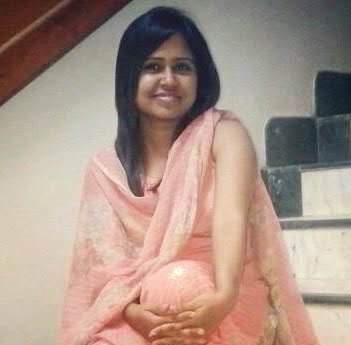 KanaiLal Dutta. Penning down the new applicants for the new academic session, she continues on saying, “Initially, it was pretty difficult. My father had a vision and he went beyond his ways to achieve it. We had to almost drag these children to school whose parents were not at all prepared to send their wards to the school for the specially abled. For it was not easy on their part to accept the bitter fact that their wards had some lagging senses in them which needs special care and attention. There were even some were the parents are themselves mentally retarded, so there’s no question of them being concerned for their wards for they did not have that sense to be concerned.” On being asked how are they working towards fulfilling the dream of her father, comes the prompt reply a major part has been achieved that they had desired to yet they need to walk more in the upcoming years. 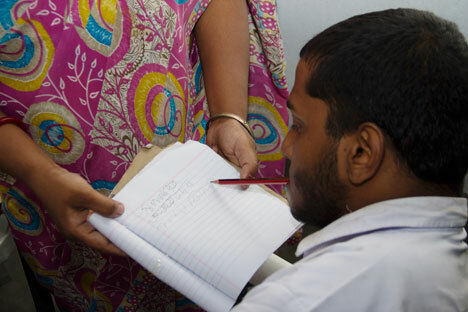 Shunning the initial resistations from the society, pleading teachers to join with a meagre salary of just thirty bucks a month, counseling the bereaved parents of the mentally and physically challenged children and running a full on school in a not so developed area has been worth an experience, says Mr. Arun Kumar Sikdar, Secretary of Haripada Biswas Vidyalaya,who also happens to be one of those who have been associated with the school since its very foundation. Scrambling through classrooms, one gets a view of teachers and students interacting among themselves. Unless you observe them precisely, you would not even have the faintest idea that these children have a lagging sense that has been lost in their childhood. Ms.Kanika Pathak, teacher-in-recharge says she’s quite happy and content being in this school. Teaching object identification to her she says, “Since the times my children came walking to this school when they found it difficult to even remember their names and today they can easily identify objects around them, they play with their teachers, they can draw pictures and every time an outsider walks into the class, they are there to welcome you with folded hands.” It instantly gives us the feeling that they are no different and even they love to chatter with every hawker who happens to pass by the window or flash a billion dollar smile when their cheeks are cuddled. It’s not only the school or the teachers but also the parents who are continuously trying to get that silver lining of the clouded lives of their wards. Such is the dedication, such is the determination to help their children beautiful and successful life, without being dependant on others, that they have sacrificed all other pleasures of their own lives. Many a parents could be seen waiting in the temple premises of the school all day long who accompany their wards everyday to the school, cooperating with the teachers, motivating the innocent kids and applauding for every small effort of theirs. But, there are a few parents who even don’t know what their wards are suffering of or who cannot even afford to pay the travelling wages for their children to school, still the school is determined not to let it affect the lives of these innocent children. All the time, the teachers, the therapists, the parents are always striving hard to pin down their dream of lending a meaningful life to their children, making them realize that being bereft of one of their senses, they are no different. Dreaming, inspiring, motivating and making their lives colorful and charming is their real concern. For the society may shun them, friends and families may isolate them yet they are fighting against all odds reliving the lost innocence. Their quest continues to get the touch of that silver lining in their clouded lives. For once Helen Keller said “Although the world is full of suffering, it is full also of the overcoming of it” and so are they walking on these words on the verge of quenching their thirst of better lives with loads of smiles.